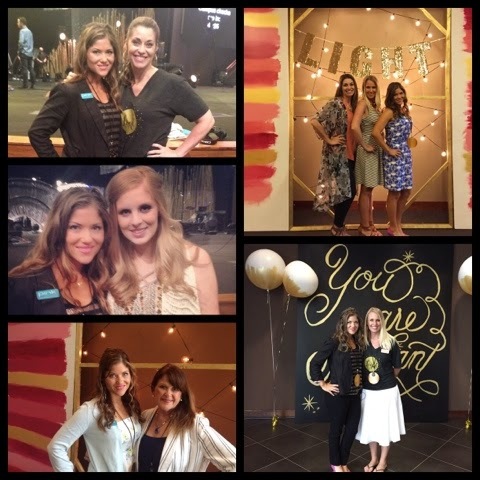 Every year my church puts on the most amazing women's conference and every year I walk away refreshed, blessed and ready to take on the world! This year's theme was "Light" and WOW was there light everywhere! From the decorations to the speakers messages to the gift they gave us...everywhere you turned you were reminded to be a light! 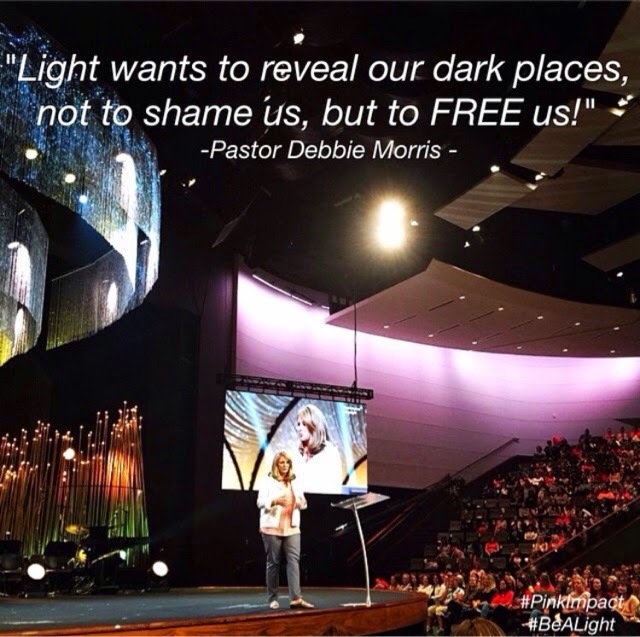 Pastor Debbie Morris: "Conversations to Remember"
Light clarifies, qualifies & identifies. Stop asking the question "Who am I" and instead ask "Who is God in me?" The woman at the well went there to escape her problems but it was at the well that she met Jesus. 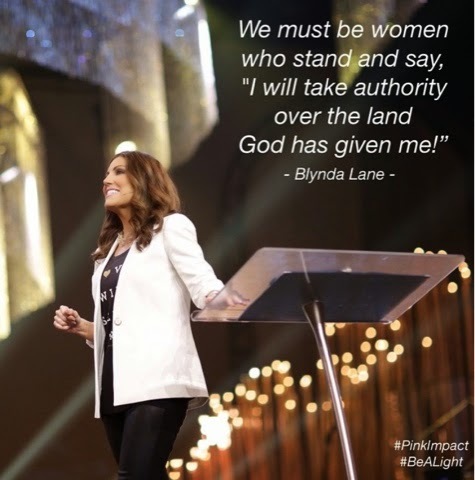 Blynda Lane: "This land is your land"
Come as you are(like Rahab), Stand on promises of God(like Joshua) and Don't be a fool(like Achan). Humbly walk in this season I am in with joy and I will be more effective. Don't go before God's timing, that's not a territory God has asked you to take yet. How often do we walk into our territory while looking over at what others have and are doing. All my junk has to stay behind as I walk into the new land. 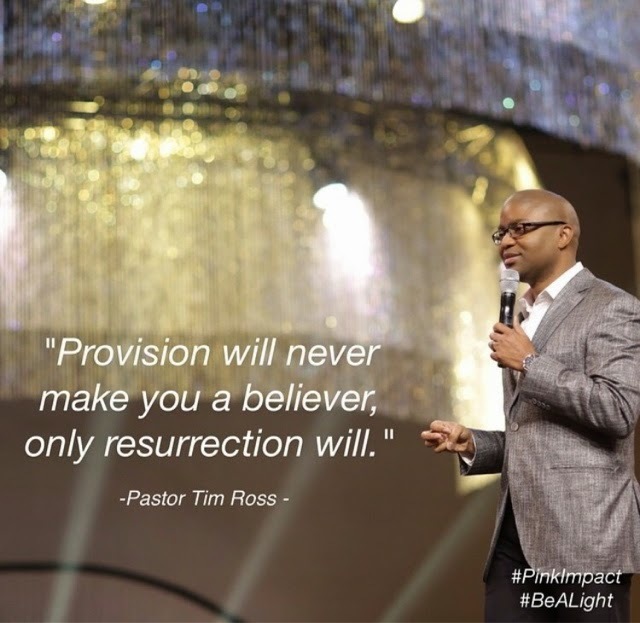 Pastor Tim Ross: "Now I know for Sure"
Never fall in love with your place of provision or you will turn it into an idol. It's when I'm asked for something I'm running out of that I get touchy. Don't just stand there, DO something....it doesn't have to make sense. Pastor Jimmy Evans(with Marriage Today): "10 Standards to test Emotional Health"
If you've been going to bed angry you've been counseled by the devil and didn't know it. Feelings you have can be very real but very wrong. Any thought you don't take captive will take you captive. Pray for people because it forces it out of your head and into your heart. God made us perfect but we choose to go down the wrong path. You are either choosing life or death in your thoughts. The thing you fear is the energy that wakes that thing up. If you aren't addicted to God you are addicted to something. Whatever you have wired into your brain you can wire out. I make a lousy someone else. You increase your own brain health when you praise others gifts. 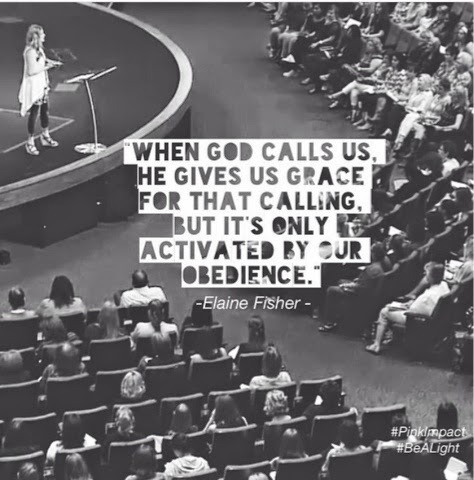 Elaine Fisher: "The Power of Light"
Can God trust me to be a light in a dark place? Esther was called before there was a need. We must raise the bar and steward our Facebook platform well. It may cost us to be a light in this generation. In the dark, life hurts. If we don't fill the lies in our lives with truth, Satan will just fill it with another lie. 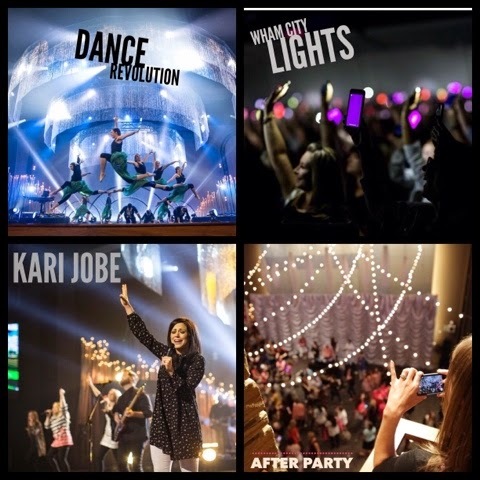 Some other amazing speakers and leaders were Missy Robertson(from Duck Dynasty) and worship with Kari Jobe! 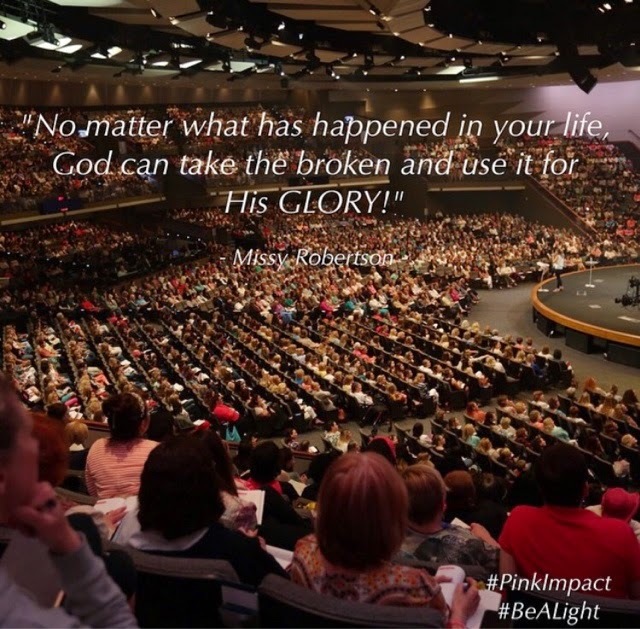 These are just a few of the amazing Pink Impact moments and words of wisdom from the speakers. For me personally, I felt the Lord remind me to spread my light. We must be careful as leaders to not be too insecure to light the candles of others around us. It can be tempting to hold that candle for yourself but the truth is if we don't light the flames of those in our territory we will eventually burn out and miss the opportunity we had to light up the world. Some sweet moments with friends and my mom! Every year we get an amazing gift. 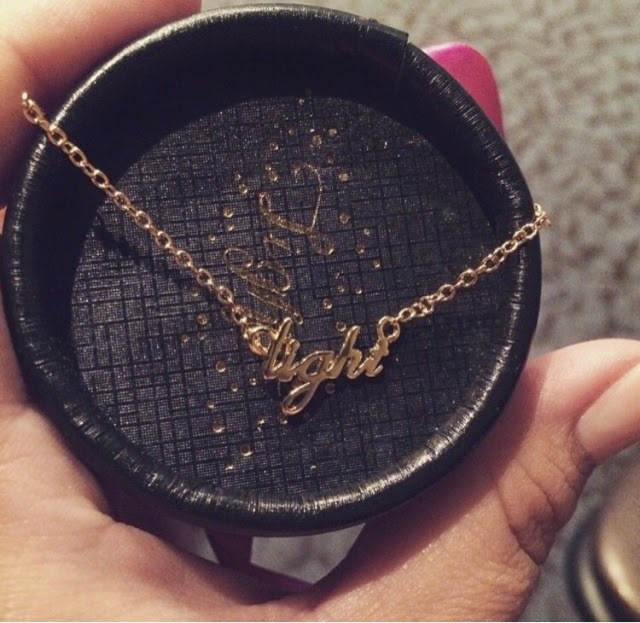 This year's gift was this beautiful "Light" necklace! 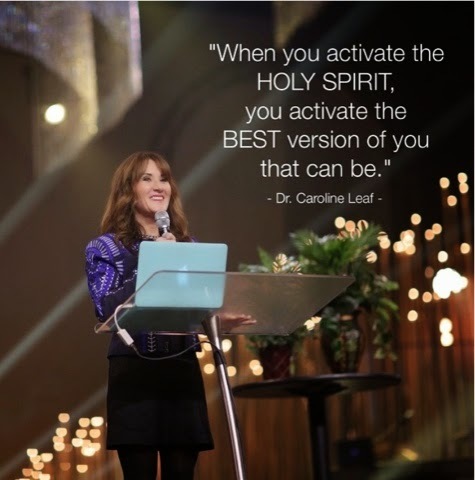 One of my favorite parts of Pink Impact is these prophetic words that the Pink Prophetic team writes. We each get one in our seat and every year it's exactly what I need to hear! God is so cool! 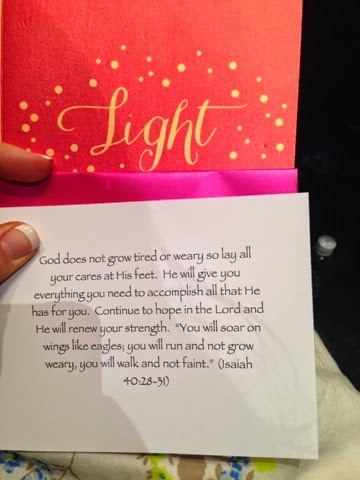 The Gateway Pink team is sharing blog posts on light for the next few weeks. You can follow along here. 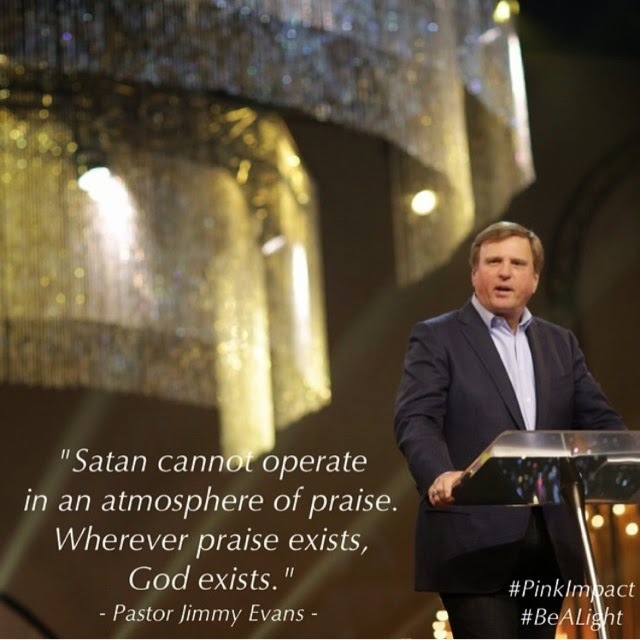 And if you have never attended a Pink Impact you need to!! You can learn more about Pink Impact 2016 AND their Pink Impact Cruise coming up in November 2015 here.